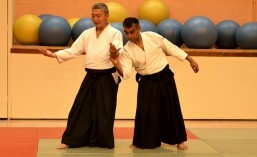 Last weekend, Doshu Yoshigasaki was in Burton, giving his last seminar of the year in the UK. Several members of the club attended and we all had a good weekend. Congratulations to Marion Jost on her successful Joden examination. We have the dates for next years seminar.